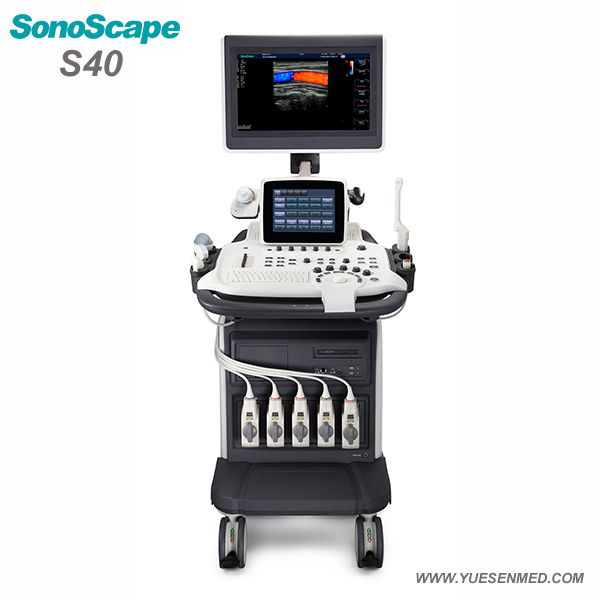 Through years of continuous innovation, development, and by giving priority to our customers’ requirements, SonoScape is proud to release its new generation, high-level ultrasound product, S40. 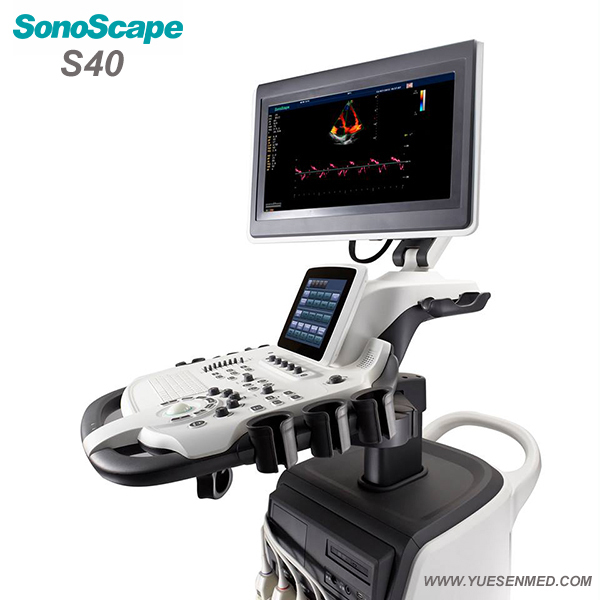 Based on a revolutionary new platform, combining SonoScape's core imaging technologies and sleek ergonomic design, the S40 represents the new standard of SonoScape S series products. This elevates imaging performance to a record level and satisfies even the most demanding clinical requirements, significantly expanding the value of ultrasound. S40 is committed to providing doctors with exceptional imaging quality in both near and far fields, greatly improving resolution and penetration for greater diagnostic confidence. u-Scan Technology uses real-time image processing algorithms to eliminate speckle and noise artifacts, enhancing tissue margins and borders by correcting discontinuity between different regions. Thus allowing improved visualization of real tissue information. 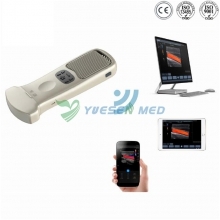 It can also automatically adapt the acoustic velocity in different regions to improve the resolution and contrast. Spatial Compound Imaging utilizes several lines of sight for optimal contrast resolution, speckle reduction and border detection. Configured with SCI technology, the S40 is ideal for superficial and abdominal imaging with better clarity and improved continuity of structures. The harmonic signals are fully preserved without degradation of the acoustic information. Makeing it possible for the S40 to take high-level detailed images and improve contrast resolution by reducing noise and clutter in the visualization of subtle lesions, small parts, vascular and so on. This technology used in the S40 can automatically adapt the acoustic velocity in different regions to improve the resolution and contrast. Powerful, professional measurement tools allow you to give an accurate and quick diagnosis. The measurement packages of the S40 are comprehensively applicable to cardiology，OB/GYN，radiology，anesthesiology，musculoskeletal department etc. 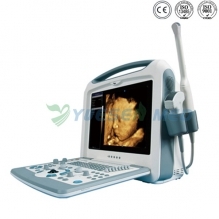 The high-level ultrasound diagnosis systems provide excellent solutions for both adults and pediatrics. You can make clinical decisions with greater confidence and expand your practice in new directions. This advanced cardiac technology features three cursors which can be set at any position and angle simultaneously. The S40 offers the best approach to reducing time-per-patient, while maintaining diagnostic precision in addition to the standard cardiac features, acquiring all information even in hard-to-scan situations with difficult heart positioning. Stress echo is the combination of 2D echocardiography with a physical or pharmacological stress, which can determine how the heart muscles respond to stress and is mainly used to diagnose and evaluate coronary artery disease. The S40’s stress echo package comes with a fully integrated and easily programmable interface that can be customized to fit your needs. These features are to help deliver a streamlined workflow for wall motion scoring and reporting. 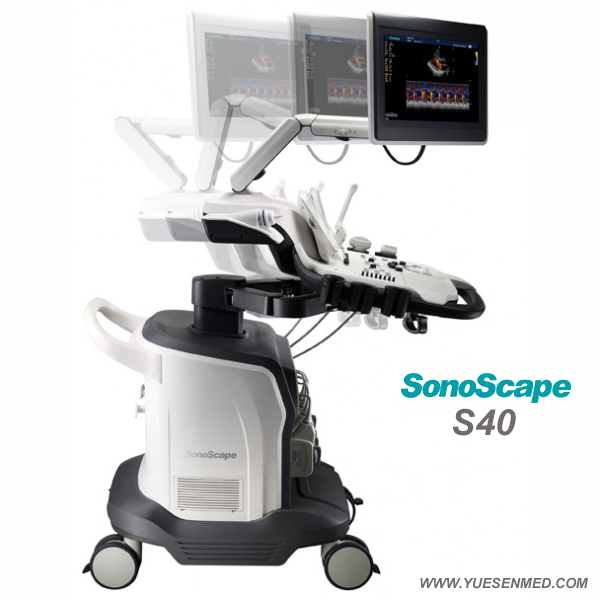 The Tissue Doppler Imaging in the S40 can provide velocities and other clinical information on myocardial functions. Facilitating clinical doctors when analyzing with recorded motions in different parts of the patient’s hear for comparison. Automated measurement of the Intima-Media Thickness of the carotid artery wall is a widely-used function. What distinguishes the S40 is that it provides instant and accurate Mean and Max index at the touch of a single button. The S40 provides superior endovaginal imaging as well as excellent fetal imaging for both 2D and 4D acquisitions. The S40 is a comprehensive imaging system engineered to meet today's most demanding needs, from deep abdominal, vascular to superficial small parts. Thanks to increased physical channels, high frame rate and advance technologies, the 4D imaging of the S40 delivers smooth movement of fetus and offers comprehensive 4D acquisition, data rendering, and post-processing functionality. 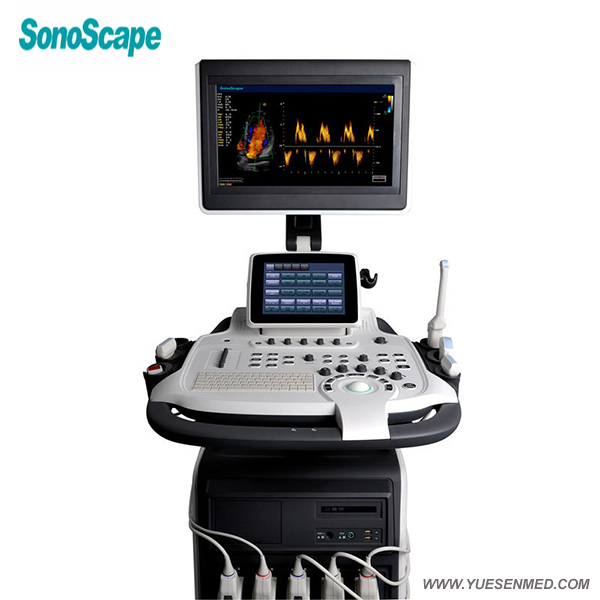 SonoScape provides the S40 with a new method to support the physician in assessing tissue elasticity. The differences in tissue response are detected and visualized in real-time by the elastography algorithms through different graphical representations, which can be particularly helpful in analyzing breast, thyroid and musculoskeletal structures. The S40 provides real-time panoramic imaging for bulky organs and masses for ease of measurement and diagnostic efficiency. Rapidly generating accurate information on the position of lesions. Enlarging the field of view by 30%, trapezoidal imaging can enhance the scanning capability for large lesions. Including Convex, Linear, Endocavity, L-shape intraoperative probe，etc. The vision that drives your constant development and provides excellent care to patients is the same vision that goes into the S40 from SonoScape.